Archaeology is the study of artifacts and other physical remains of earlier societies and communities in order to unravel the mysteries of human cultural diversity and adaptation. Archaeologists can reconstruct past human behaviours and life ways from tools, shelters, ornaments, food remnants, modified landscapes, and even human remains. The program focuses on the past peoples of western Canada and the broader Circumpolar North. You will have the opportunity to participate in the excavation of archaeological sites and will learn how to employ a wide variety of laboratory techniques. These include the analyses of artifacts and other archaeological materials such as human and non-human skeletal remains. You will learn how people interacted with past environments and how sociocultural explanations relevant to past human experiences are developed and tested. In sum, you will learn about how and why human behaviour has changed in the past in order to better understand human behavioural changes today and into the future. How do archaeologists reconstruct the lives of past peoples from the material remains they left behind? 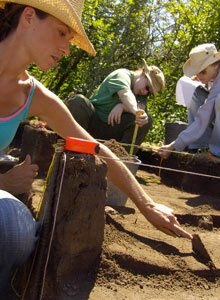 This course introduces the student to the methods, techniques and theoretical models used by archaeologists as they answer questions about our human past and the emergence of modern societies. A survey of the prehistory of the Plains region of North America with emphasis on the recognition and examination of archaeological problems. The diagnosis and interpretation of disease in antiquity and the overall health status of earlier human populations. Although skeletal pathology will be emphasized, analysis of mummified tissues and ancient DNA will be included. Students can take ARCH 361 – Archaeological Field Methods in the spring and summer terms and spend six weeks in the field working at an actual archaeological site. 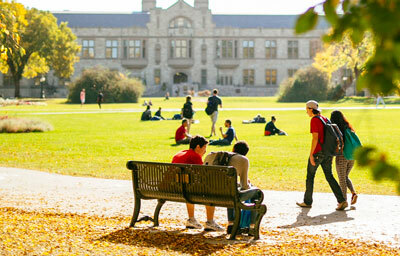 The Department of Archaeology and Anthropology is equipped with its own classrooms, study and computer labs, student lounge and library with a large and diverse collection specifically for teaching. Our professors are located just around the corner from the classrooms. You will be able to choose between two degrees types in Archeology. If you prefer a social science orientation you should take one of the B.A. degree programs and if you prefer a science orientation you should take one of the B.Sc. degree programs. You should consult with an academic advisor in the college when you begin your studies to decide if you want a four-year, three-year or honours degree.